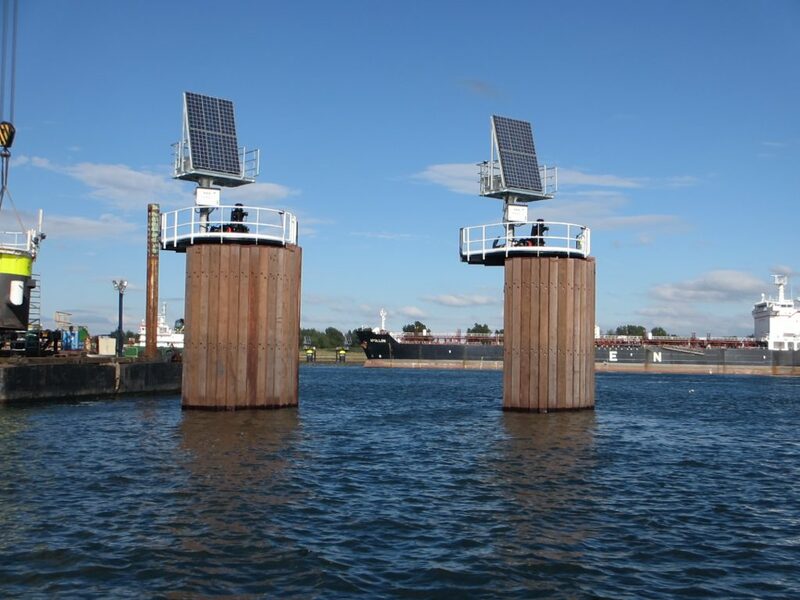 To improve the energy supply of our quick release mooring systems, we provide special autonomous Solar Panel System. This green and sustainable autonomous Solar Panel System provides the Quick Release Mooring Hook units with electricity for the integrated capstans, the navigation light and working light and back-up power unit. The provided energy can also be used for the wireless Mooring Load Monitoring that is integrated in the units. 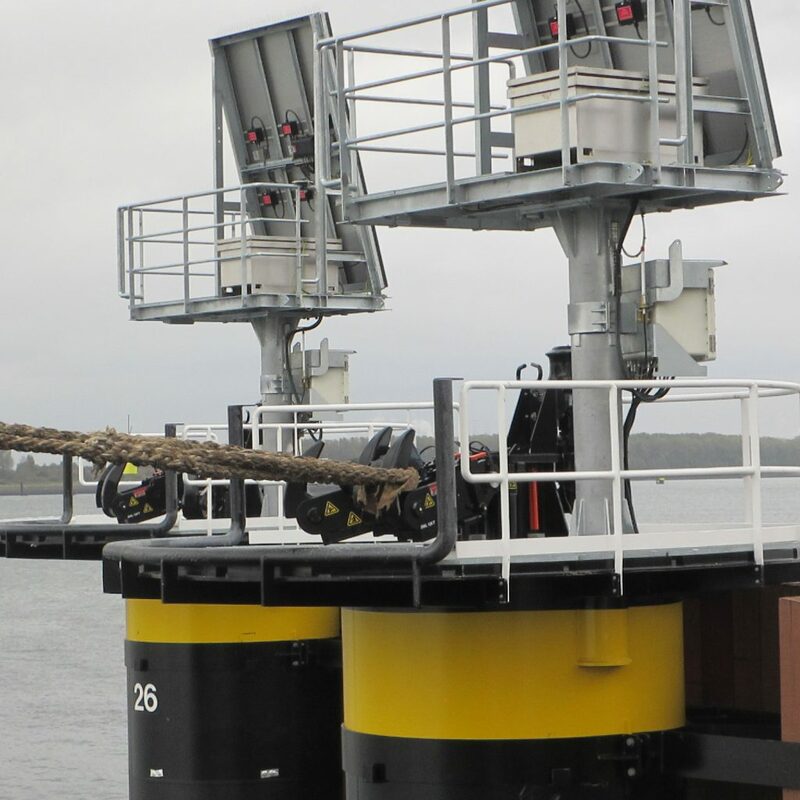 With this wireless solution, the crew at the office is able to monitor the mooring loads on the hooks. 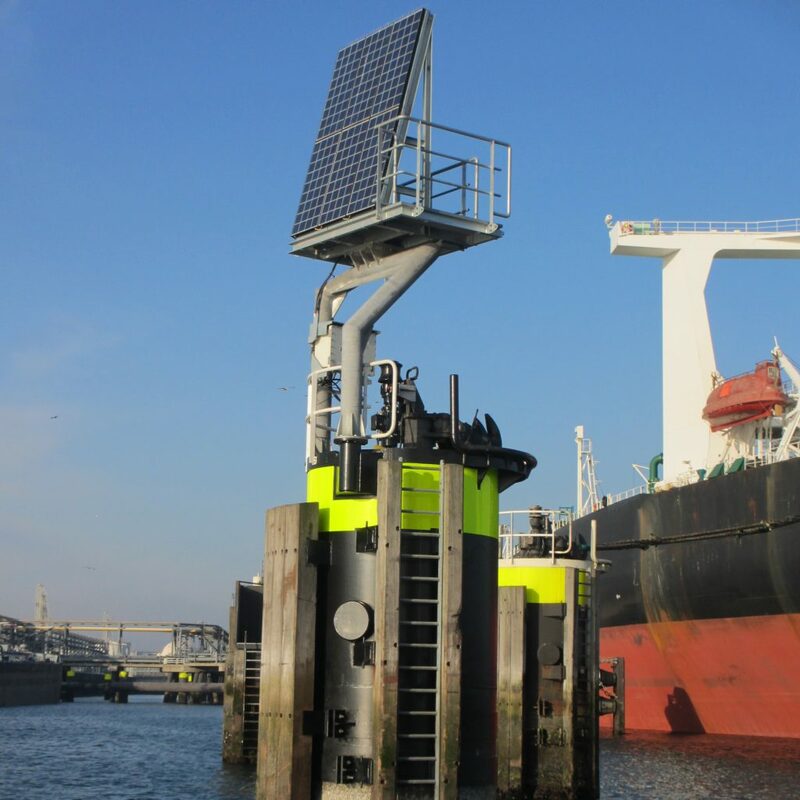 A special designed mobile application provides the crew on site of information about the battery status and the level of charge of the Solar Panel System and displays the Mooring Load Monitoring. The energy provided from the solar panels can be used 24/7. 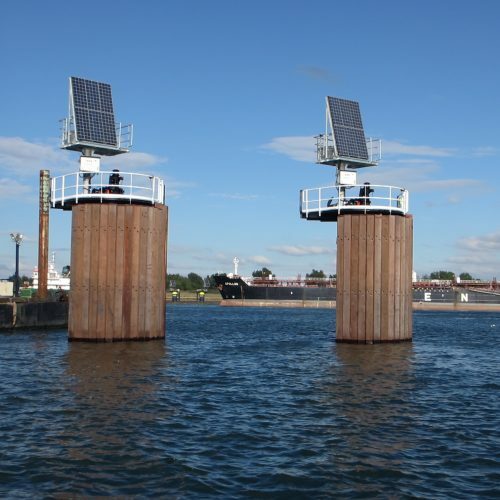 The autonomous Solar Panels will reduce the energy costs and will provide green and clean energy. 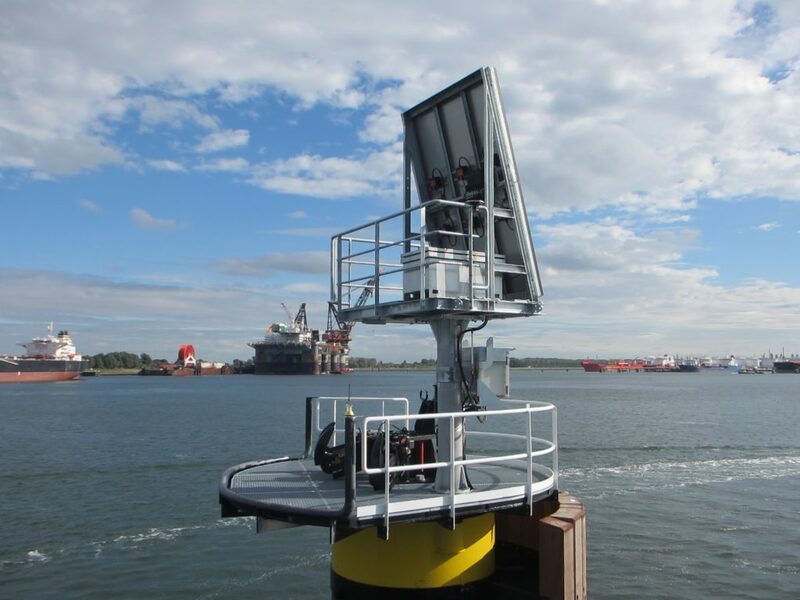 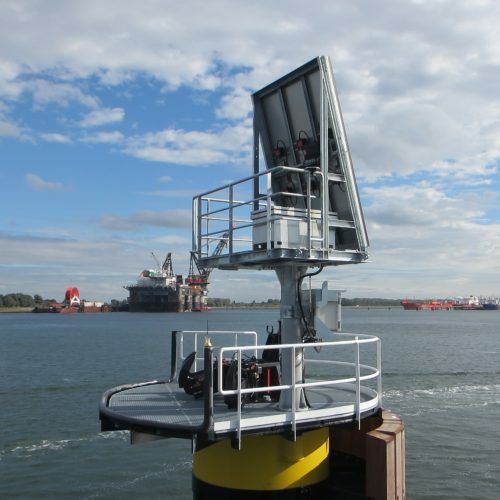 The Autonomous Solar Panels can operate as a standalone or can be an integral part of the iMoor® jetty management system.